In 2005, the proportion of the world’s population living in cities reached 49% (3.2 billion people). By 2030, 60% of the global population – five billion – is expected to live in urban areas. The populations of Europe, Latin America and the Caribbean, Northern America and Oceania are already over 70% urban. Africa and Asia are the least urbanized regions of the world (about 40%), but by 2030, citydwellers are expected to be in the majority in these continents too.1 Information systems and mobile technologies will be the key drivers of how people use these burgeoning urban environments, and consequently of the global economy. 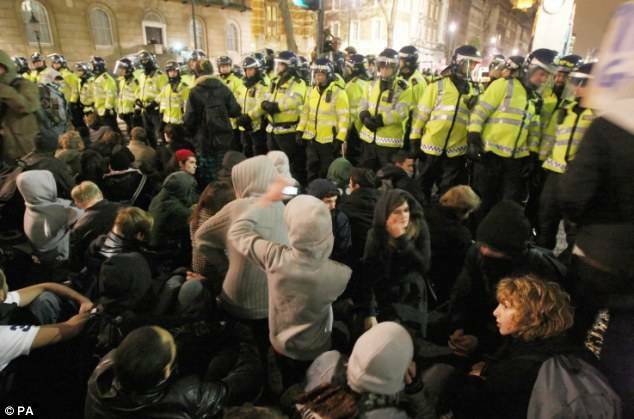 15 December 2010: London police use kettling to try and contain 10,000 students demonstrating about student fees. Mobile phone evidence from demonstrators plays a part in the decision to abandon the tactic. M-commerce and m-payments are exploding globally, with transaction value growing from US $29 billion in 2008 to $300 billion in 20132 and the number of customers using m-payment growing from 43 million to 190 million over the same period.3 in 2009, 75% of mobile phone revenues were accounted for by voice traffic, 10% by text messaging, 10% by data and 5% by other services and content. By 2015 this is set to change massively, with 90% of revenues expected from data traffic and content and 10% from voice.4 These trends have fundamental implications for freedom, safety and prosperity in modern society – and particularly in the increasingly complex context of urbanisation. While mobile information and communication are key factors shaping future development, this does not mean the future is in the hands of mobile phone companies, who may find themselves sidelined or redefined just as music companies have in their industry. The subject of Informational City is people, not technology. The significance of mobile information, communication, interaction and transaction is that it drives the changing position of the individual citizen and consumer in society. Design is how we can affect how information is used in cities. The design industry, as much as the ‘citizen designer’, is an important participant in this debate.